Four other teenagers were injured when the Vauxhall Astra left the road at Welton Cliff, near Lincoln. Tributes have been paid at the scene of a crash which left two teenagers dead last night. The boys, aged 14 and 17, died in the incident on Heath Lane, off the A15, at Welton Cliff, north of Lincoln. The crash happened at about 20.00. Officers say another 17-year-old remains in hospital with serious injuries. Three other teenagers, including an 18-year-old girl who was the driver, suffered minor injuries. Specially trained officers are dealing with the incident and police are asking for any witnesses to the crash or who may have seen the car in the area to come forward. A57 Lincolnshire westbound severe disruption, near B1241 Mill Lane. A57 Lincolnshire - A57 Lincoln Road in Saxilby closed and slow traffic westbound near the B1241 Mill Lane junction, because of oil on road. A man in a jet-powered flying suit is planning to fly over Lincoln's Brayford Pool next month as part of an airborne display. It's been arranged to mark the expansion of a local business whose offices overlook the water in the city centre. Richard Browning will be the man taking to the skies on 11 April, using a special suit powered by four miniature gas turbines. Having done 72 events in 21 countries it never fails to leave quite an impression on people when they see a human being flying around in this very raw, authentic way." Advertisers should allow their customers to opt out of marketing around special events such as Mother's Day, according to one Lincolnshire Conservative MP. Matt Warman, who represents Boston and Skegness, says people who've lost a loved one or relative can find it too upsetting to get promotional emails, letters and social media adverts. He's due to bring up the issue during a debate in the House of Commons later. 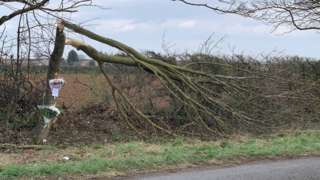 A 14-year-old male and a 17-year-old male have died following a car crash in Lincolnshire, police have confirmed. Another 17-year-old remains in hospital with serious injuries following the incident, while three other teenagers received minor injuries, police say. Emergency services were called to Welton Cliff at about 20:00 last night after a silver Vauxhall Astra left the road. Anyone who saw the Astra in the area of Welton, Scampton, the A15 or the A46 around the time of the incident is being asked to contact police. Officers are also keen to speak to anyone with dashcam footage from around the time of the crash. Four teenagers have been seriously hurt in a crash in Lincolnshire. Two other young people suffered minor injuries in the collision. The road was closed until about 03:45 this morning while police investigations were carried out. Anyone who was in the area and saw the silver Astra at around the time of the crash is being asked to contact police. Plans for a new affordable housing development have been recommended for approval in a Lincolnshire village, despite local opposition. Developer Longhurst Group wants to build 46 two, three and four-bedroom houses on Easthorpe Road and Belton Lane in Great Gonerby. 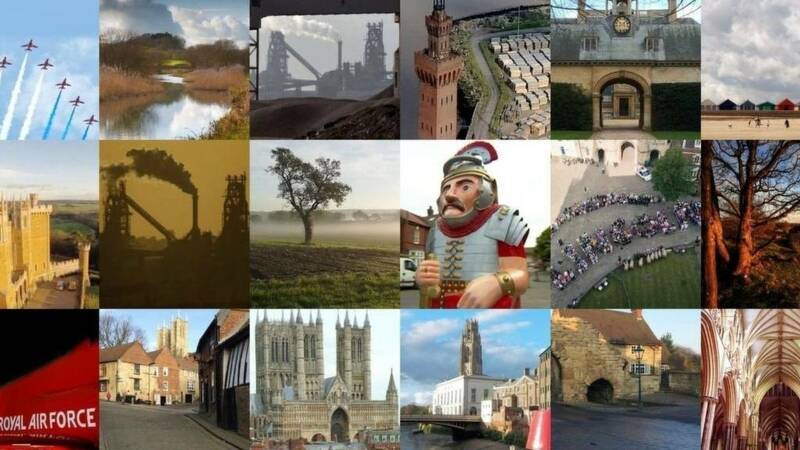 South Kesteven District Council says the development is a boost for affordable housing in the area and will "benefit the whole of the area". However, local residents have raised concerns about flooding and additional traffic.